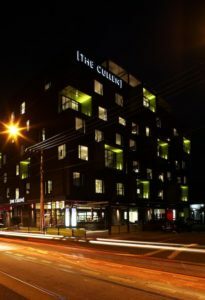 This 5 star superb boutique hotel is a 10 minutes walk to Baker Heart and Diabetes Institution and offers comfortable rooms decorated with original artworks and prints by contemporary Australian artist Adam Cullen. Registration includes accommodation for 2 nights – Friday September 22 and Saturday September 23. Any other costs are to be covered by the guest, including parking, breakfast etc.